Going sailing this summer? Soon you’ll be at the helm, feeling the wind in the sails and planning your day’s adventure, but imagine how different the experience would be if it was your own yacht you were sailing. Our charter management programs make yacht ownership easier than you think and our base teams make the maintenance side a dream. Check out what one of our owners emailed to us recently. We understand that there are many different motivations for becoming an owner and we’ve designed our charter management programs specifically to offer flexibility. Our expert team of brokers will listen to your ownership objectives and match you to the program that’s right for you. So what are the benefits of ownership with us? 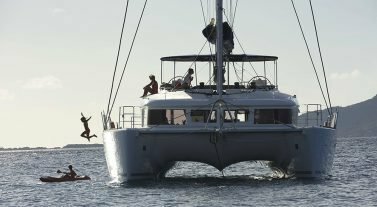 It makes sense for frequent sailors – If you sail regularly, it could be more cost effective to put your money in ownership than in chartering. Our Dream Guarantee program covers the financing cost and offers 12 weeks owner sailing each year. At the end of the five-year program, you can sell your yacht and end up cost neutral meaning you’ve sailed for five years for free. It’s an investment opportunity – If you work for yourself and want to consider the tax advantages of ownership, look at our Dream Performance program. You have unlimited owner sailing time and will own the boat at the end, which you can sell or keep. It’s never been so affordable – Choose from six unique charter ownership program options to find the best fit for your needs. 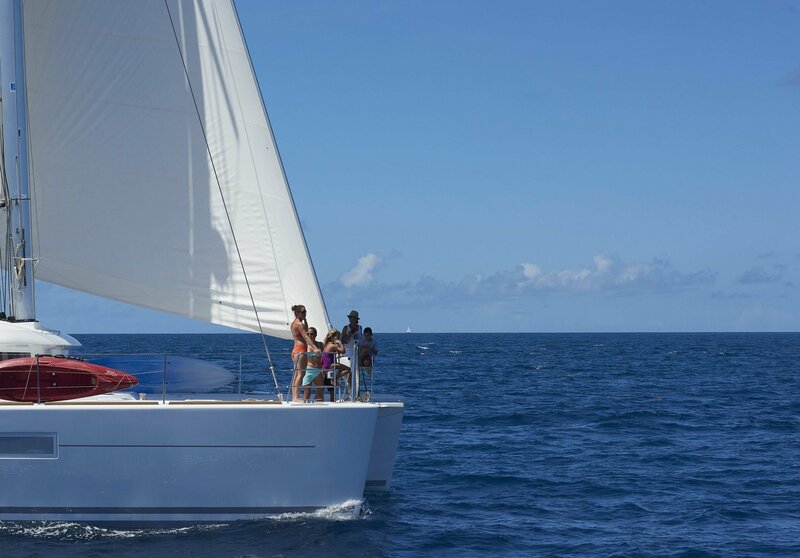 At the end of your program, you’ll enjoy a high residual value within our fleet as we offer the widest range of monohull and catamaran manufacturers and models. You can make a confident purchase – You are welcome to ’try before you buy’ and charter costs will be credited against the purchase price. Relax with peace of mind – Our base teams offer customer service with a personal touch and look after you and your boat’s maintenance. In most of our programs, you pay nothing for maintenance, insurance and dockage. Don’t take our word for it, read what Chris shared above about his experience with our Grenada team. Feel in control – Enjoy some customization opportunities, depending on your charter management program. Our team of experienced charter ownership sales professionals can guide you through the process of picking the boat you want, in the location you want. It takes the stress out of buying a boat. Explore the world in your owner time – Use your owner time on your boat at your designated base or pick from our fleet across +45 destinations worldwide. You’ll have five years to discover new adventures in the Caribbean, Bahamas, Mediterranean, Indian Ocean, Asia, Pacific and the Americas. Expand your experience – In your owner time you can pick from the fleet to try out different manufacturers and models. Broaden your sailing experience and start planning your next purchase. Your preferred boat every time – Plan your sailing vacations in advance each year to make the most of your sailing opportunities. Owner time ranges from 8 weeks a year to unlimited use, depending which charter management program you choose. Spend time with those you love – Invite your family and friends to join you on board and feel the pride of ownership. Your vacations become shared experiences and memories that last a lifetime. For more information, check out our blog on Four Affordable Ways to Own Your Own Dream Yacht, which details our charter management programs. You can contact our sales team or talk to our experienced brokerage team about buying from our previously owned fleet.